SPECIAL PROMO FOR FIRST TIMER! 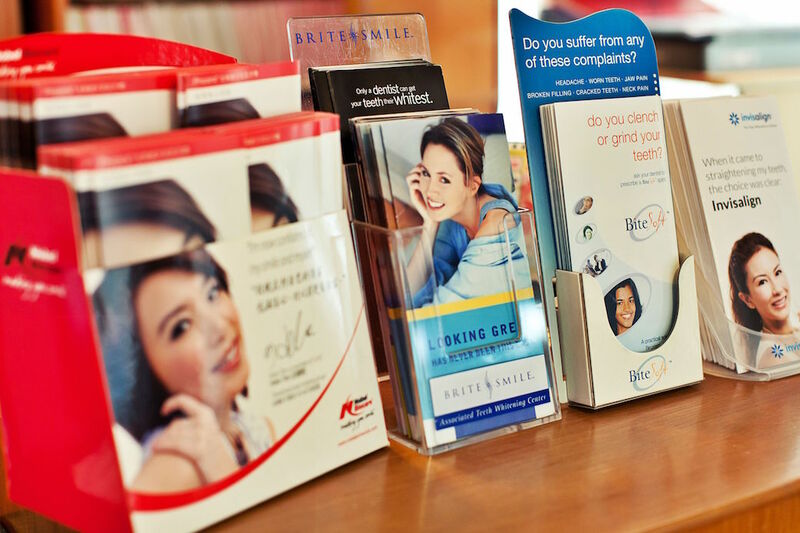 "a healthy smile for life..."
One-stop centre for all your dental needs. Rigoruos sterilisation and infection control protocol. Intraoral camera to help see your teeth in greater detail. What a difference straight teeth can make! A great-looking smile can boost your self-confidence and have a positive impact on social and professional opportunities. Orthodontic treatment is the original smile makeover tool — and you will be happy to know that you're never too old to take advantage of it. 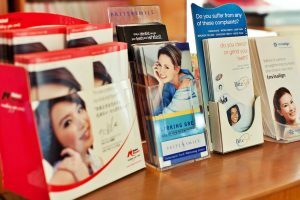 Invisalign is a method of dental straightening that uses clear plastic trays – no uncomfortable metal wires or clear brackets. You and those around you will hardly notice the clear trays that comfortably fit over your teeth. 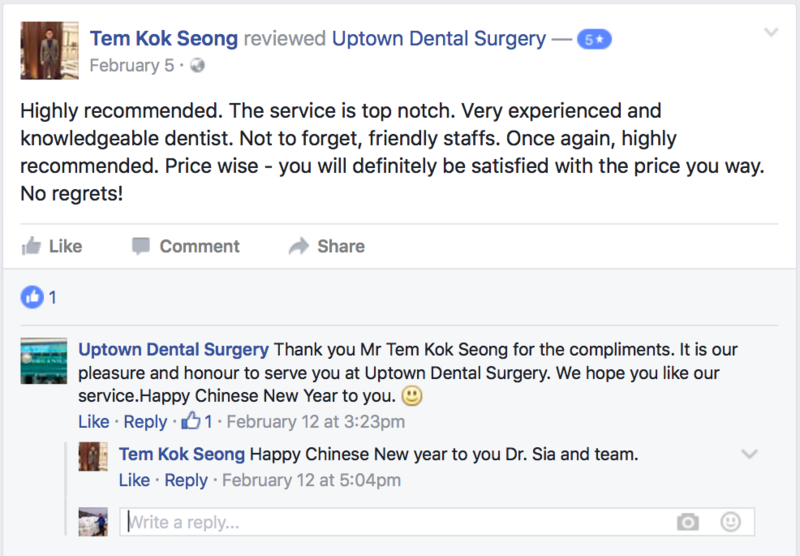 On behalf of our doctor and team, we warmly welcome you to Uptown Dental Surgery. Established since 2001, Uptown Dental Surgery is dedicated to providing our patients with exceptional dental care. We are commited in staying up-to-date with all recent developments in dentistry, combined with our state-of-the-art facility and equipments, allows us to successfuly treat even the most complex cases. We perform a wide range of reconstructive, cosmetic, dental implants procedures all under one roof. 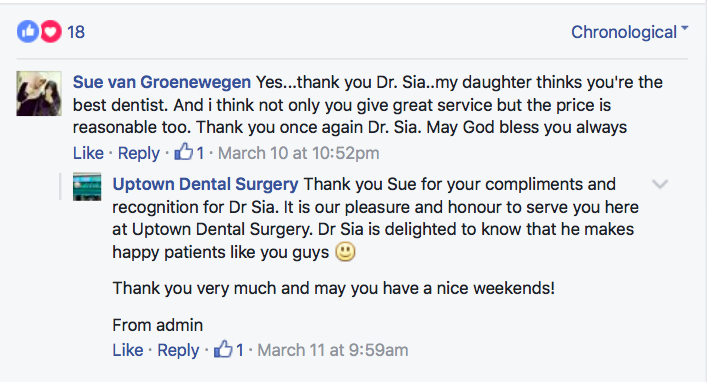 Born and raised in Petaling Jaya, Selangor, Dr Sia graduated from the University of Adelaide School of Dentistry in Australia in 2004. 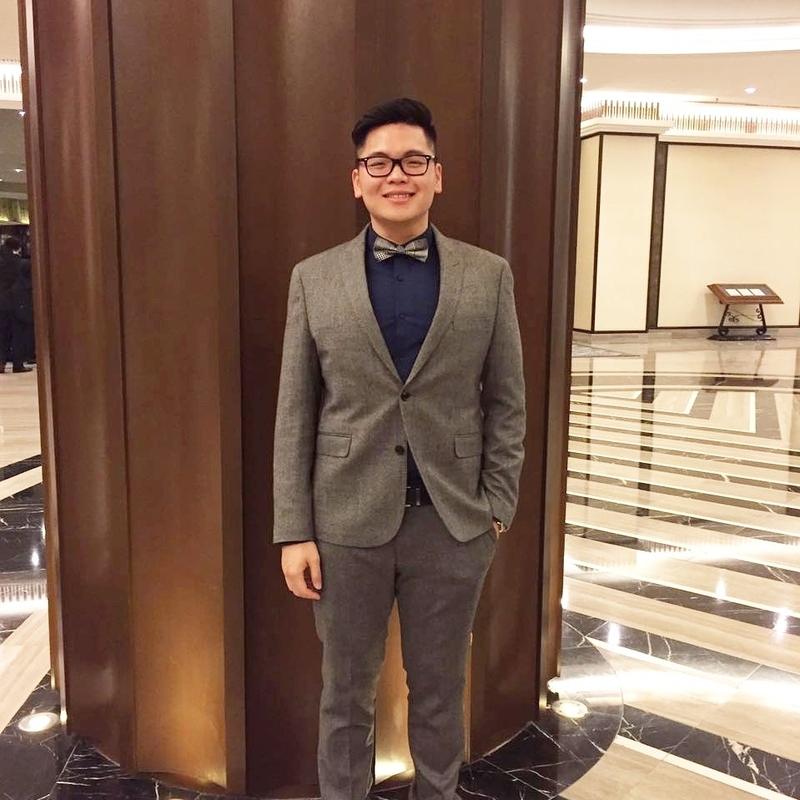 There he practised five quality years of dentistry along side some of Australia's leading dental personalities in the Adelaide Dental Hospital before moving back to his home country. 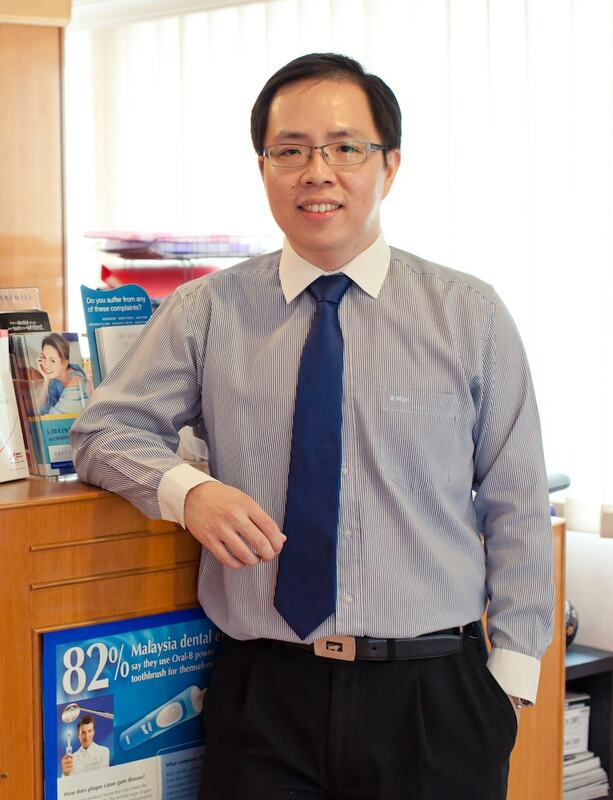 A firm believer in life-long learning, Dr Sia continuously seeks ways to improve himself in every aspect of dentistry including patient management, skill enhancement and office management. He keeps himself abreast with the latest developments in the field of dentistry by learning new skills and familiarising himself with various state-of-the-art dental equipments. 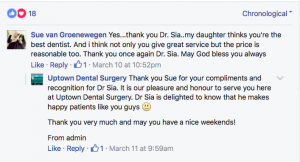 In 2008, Dr Sia participated and completed the Certificate of Implantology (Frankfurt, Germany) course. He had a fruitful stint at the University of Frankfurt, Germany where he was trained by the inventors of the Ankylos implant system. 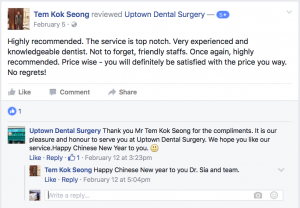 To complement his passion for dental implantology, Dr Sia decided to receive training in Orthodontics given by the Progressive Orthodontics Group, USA as he believes a good understanding of both Dental Implantology and Orthodontics will allow him to deliver the best results to his clients. 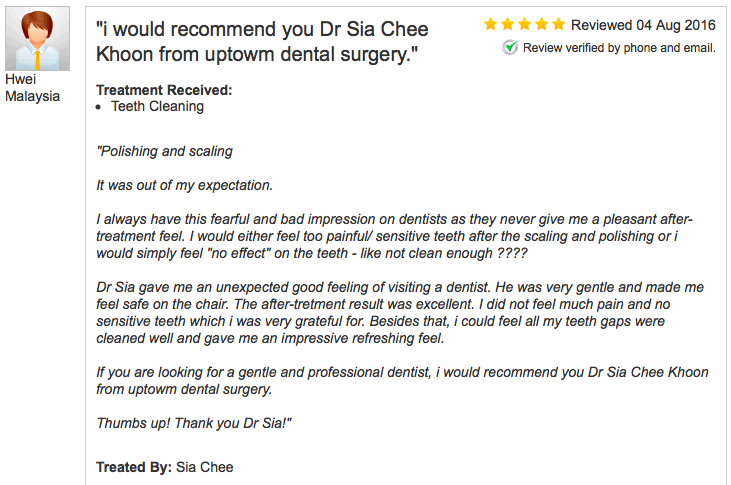 Dr Sia believes in providing his patients with excellence in care in the gentlest manner possible. 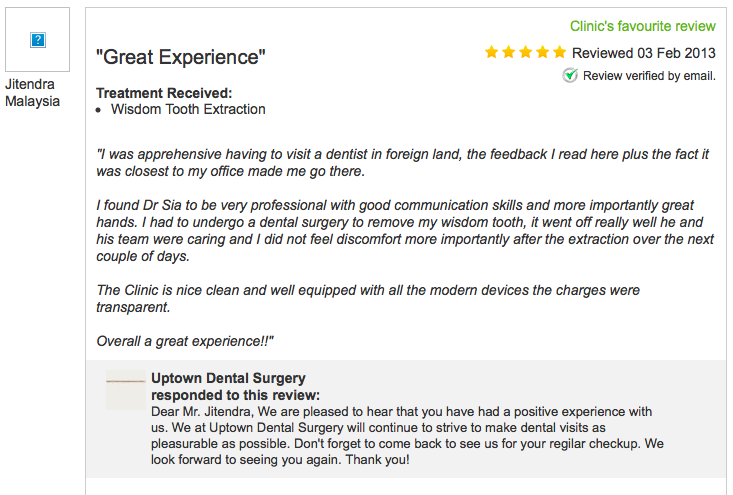 He chose to focus on general and cosmetic dentistry and enjoy helping people have a wonderful dental experience while here. He also believes in minimal intervention and prevention is better than cure. 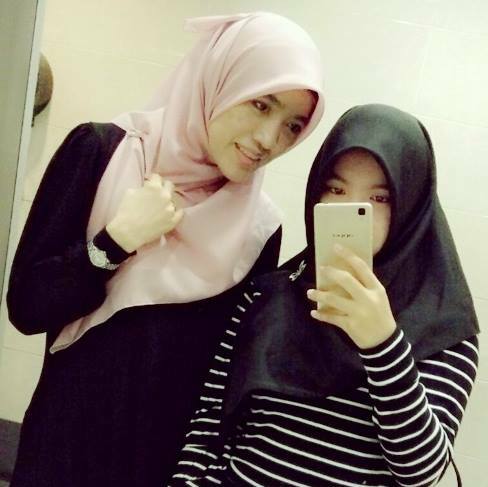 Dr Sia enjoys jogging and playing badminton during weekends. He is also an ardent supporter of Manchester United football team. 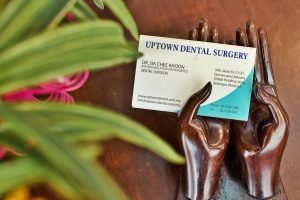 Uptown Dental Surgery has the most cost-effective ways to improve your appearance. 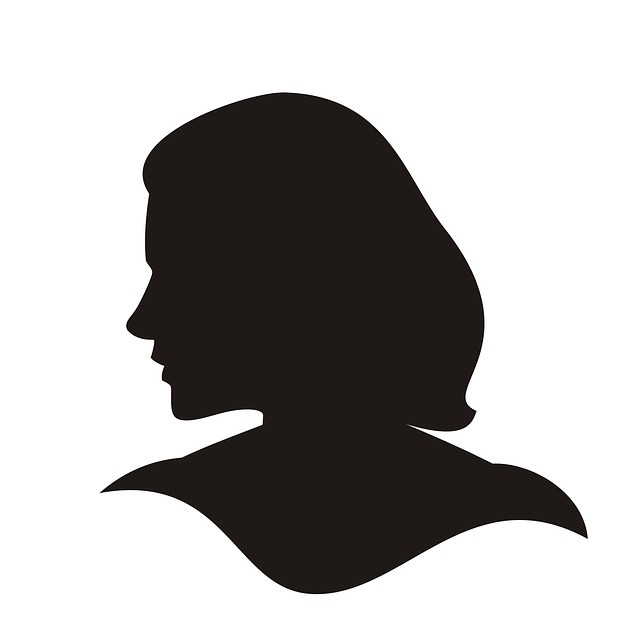 A beautiful, bright, healthy smile can increase self confidence and overall life satisfaction. 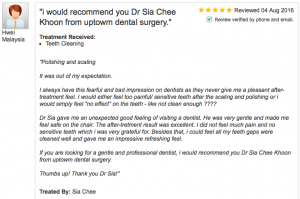 Our patients are always asking us how they can achieve a perfect smile. 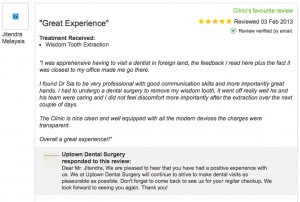 We have helped many of our patients achieve the smile of their dreams through various cosmetic dental procedures.